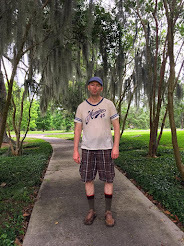 As editor of Zombie Logic Press, I receive approximately 500 unsolicited manuscripts a year. Most are for children's books, but occasionally something unusual comes over the transom. That sure was the case few months ago when I received an exhaustively researched biography of Church of Satan founder Anton LaVey by the very author who had written the first and definitive biography (with LaVey's blessing) and parts of the Satanic Bible. At first I thought it was a gag, so I vetted the author, and he was the real deal. He actually had become quite good friends with LaVey and had a great deal of access to the house on California during the early days of The Church of Satan. Of course I was interested, but questions immediately started to mount up. Why Zombie Logic Press. I spent a weekend reading the manuscript, which was great, and wondering why I was chosen to publish it. Was there some hocus pocus involved? Was it my destiny to publish this book and finally have a success with my labor of love? I went as far as to consult a lawyer to discuss the legality of the whole process and examine the contract I was sent. By the end of the week I started getting the uneasy feeling that this was not a special opportunity sent to me by the Universe to put my literary press on the map. It felt more like a long, drawn-out battle. With who or what I had no idea, I just decided to take head of my intuition to leave it alone. So I passed. On a book I enjoyed reading but didn't feel fit into my publishing philosophy at all. 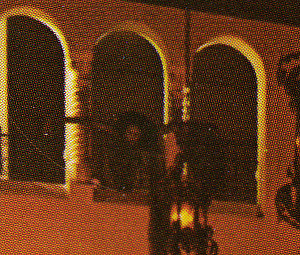 Here's Anton LaVey's infamous cameo on the inside cover of the Eagles' Hotel California album. Did I ask the author about which celebtiries he saw at the Church of Satan, and try to dig up some dirt he might have decided not to put in the book? You bet your sweet bippy I did, but the bottom line, and the author reconfirmed this both in his manuscript and when questioned by me, was it wasn't all that exciting. True, there were a few fringe celebrities on the periphery of the movement, and for a while during the late 60's and early 70's Hollywood, and the entire entertainment industry, seemed to have a fascination with TCOS, but celebrity involvement in the ceremonies just wasn't very common. What was more likely was seeing a captain of industry, or his wife, or both, at one of the ceremonies. Will I someday come to regret taking a pass on the book? Maybe. I can say that after reading it that I considered Anton LaVey a more interesting character BEFORE he founded the Church of Satan. He was a talented musician and showman who could captivate an audience. Listening to the final track on the Coven album Witchcraft Destroys Minds and Reaps Souls, a recording of an authentic Church of Satan black mass, one can understand why the ceremonies caused such a stir, to the point where the street would often be jammed with onlookers hoping to catch a glimpse of LaVey, or his followers. I just don't have the means or the energy to have done the project justice, as much I think it's a worthy book.